Queen's Guard: 1¼" wide x 2¾" long See the sights of London on the top of a yummy cupcake! 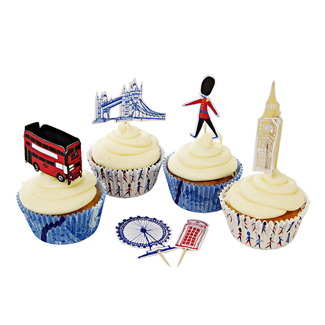 This stylish cupcake kit includes cupcake papers in 2 patterned designs and 6 styles of cake toppers, each with a famous London icon. The kit comes in a beatifully patterned presentation pack. Package contains 24 cupcake papers in 2 styles and 12 cake toppers in 6 styles. See the sights of London on the top of a yummy cupcake! 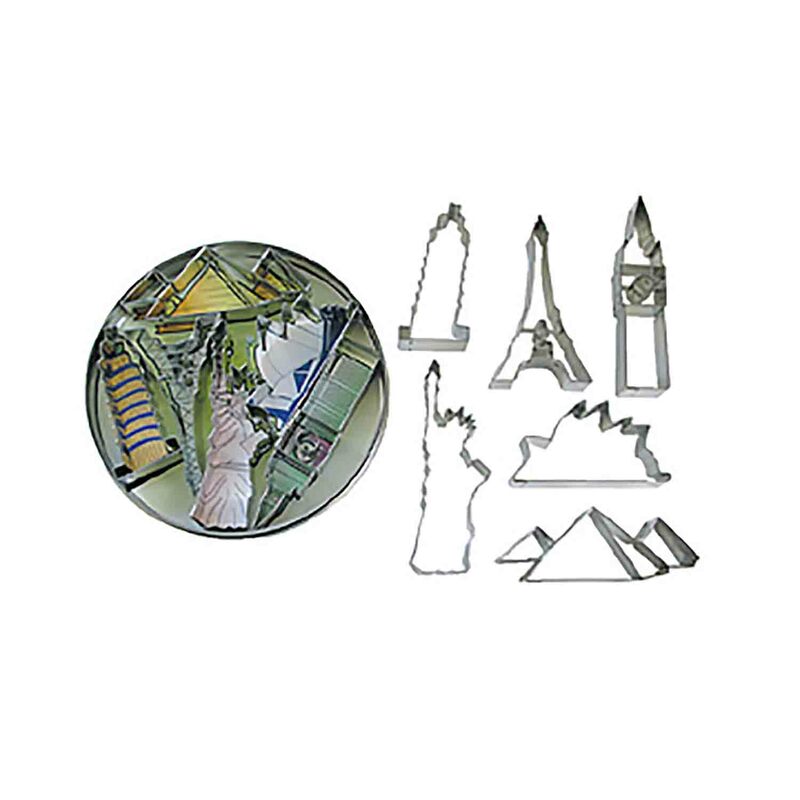 This stylish cupcake kit includes cupcake papers in 2 patterned designs and 6 styles of cake toppers, each with a famous London icon. The kit comes in a beatifully patterned presentation pack. Package contains 24 cupcake papers in 2 styles and 12 cake toppers in 6 styles.